I was pretty disappointed with Franz Ferdinand's first single "Right Action" from their upcoming album 'Right Thoughts, Right Words, Right Action' being released August 27th. I am such a big fan of theirs and after four years with no new material I thought that choice for a first single was rather weak. 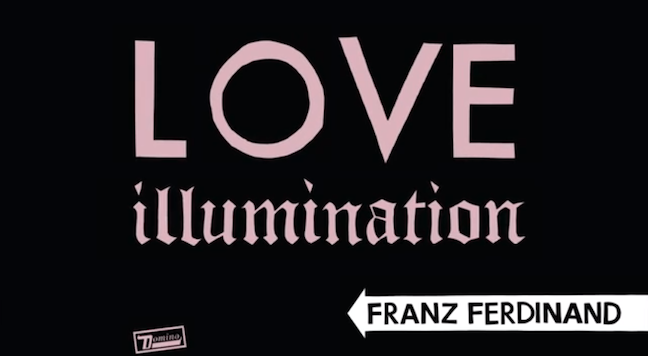 I hoped the rest of the album would be stronger and their second single "Love Illumination" has given me that hope. Much better/catchier track from this Glasgow band which I was obsessed with when their debut album arrived back at the indie rock peak of 2004. Let's hope the rest of the album goes more in this direction.